The Urchin SwampBox Standard is a compact foot-stomp box with a big sound. 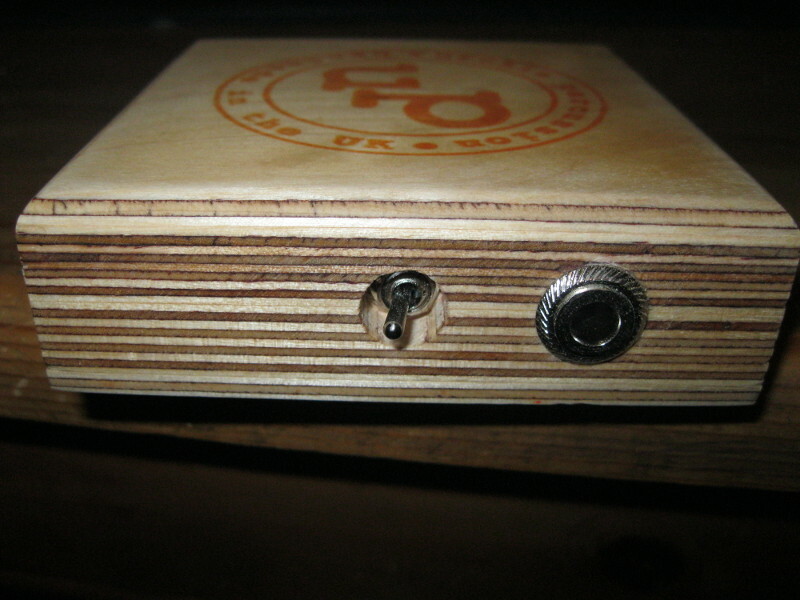 Made from 100 % birch ply, this box benefits from a switchable low-pass filter, giving a choice of percussive sounds – switch the filter in for more boom, or out for more snap. Output is via a standard 1/4″ jack socket. 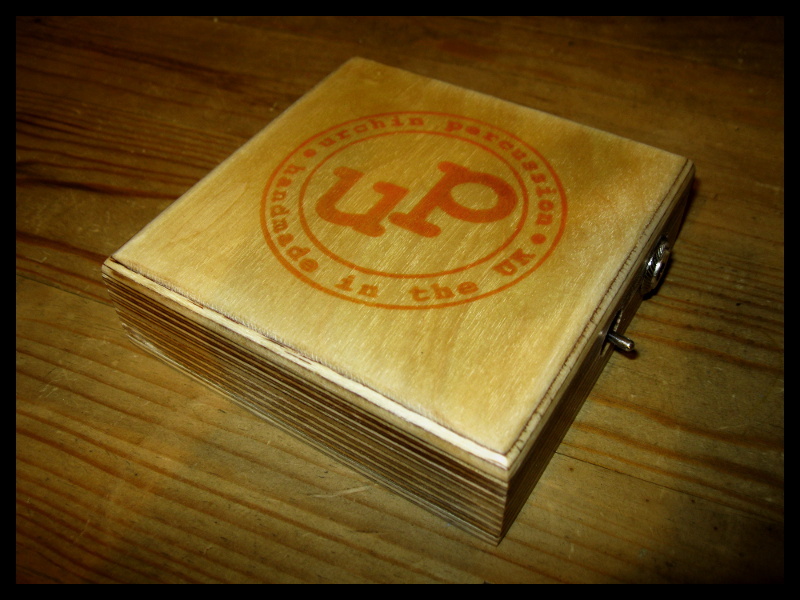 At 110 x 110 x 35 mm, this SwampBox will fit in the accessory compartment of most guitar cases and weighs in at around 250 g.
The ideal companion to guitar-vocalists, cajon players or anyone wanting to add some rhythm to their set, just plug this little box in to your amp or PA, turn it up and stomp away! For those who prefer a lower stomping angle, at the cost of a little less portability, the SwampBox can be dropped in to the optional Urchin SwampBox Footplate. As this is a hand-made instrument, colour and weight may vary a little. Priced at £45 + £5 P & P within the UK. Also available from Wild Heart Music in Bourne, Lincolnshire.